The Performance Series Steel Wheels are available in 3- and 4-spoke designs which feature black coated CRS steel construction and thick-textured foam cushion grip. 677 is rated 3.0 out of 5 by 1. Rated 3 out of 5 by 69 C20 Jim from Grant Steering wheel and install kit I bought a Grant steering wheel and a install kit. The steering wheel came in a few days where the install kit was back ordered even though it said it would ship in 24hrs and didn't arrive for another 3 weeks. Lot of good a steering wheel comes but can't install it! Not Jegs fault but Grant's! As for the instruction they left a lot to be desired took me about an hour longer than what it should have and didn't have a horn because they didn't put enough aluminum foil tape on the steering wheel to make contact with the ring so it would work. After I figured out the instructions and determined about the foil it finally worked. Looks good in my truck but don't think I would recommend. 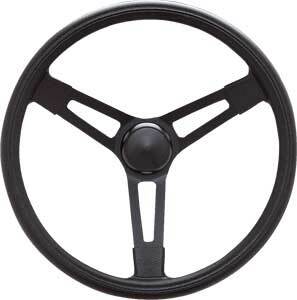 Will the 470-677 Grant wheel / 4579 wheel adapter work on a 73 Toyota Land Cruiser? Yes, the grant 470-4579 will fit the 1973 Toyota Land Cruiser.